In a recent CelticsLife article, For the Gordon Hayward naysayers, I have news, I had broached that Gordon had heard all of the negative feedback from his critics, but he had told fans that he would need some time. Most of us knew he was better than he was showing, and so did he. He certainly showed it last night in the 118-109 win over the Minnesota Timberwolves. I closed my previous article with my following quote. The nays will turn to yays in the near future. Gordon came off the bench again - poured in 30 points on 8-of-16 from the field, 4-of-5 on treys and a perfect 10-of-10 from the foul line. 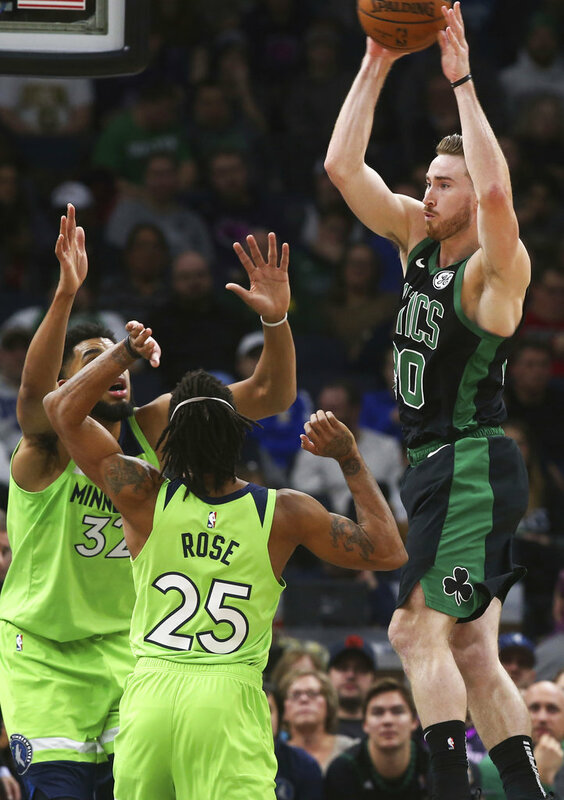 Not only did he not miss from the charity stripe, but he was the first Celtic to attempt ten-or-more of them in more than a year. Gordon also hauled down nine rebounds, handed out eight assists and added two steals. In that same naysayer article, I had also taken a bit of heat for projecting Hayward's stats from a specific game to per-36-minute numbers. The numbers from that past game turned out to be 36 minutes - 18 points - eight rebounds - seven assists. Well he did better than that in only 29 minutes versus Minnesota (29 minutes - 30 points - nine rebounds - eight assists). I maintain Hayward is the most versatile player on the Celtics team. This is only one game, but I doubt Gordon's performance was a fluke. This breakout came as a bench player, but it could well have come with him as a starter. Doesn't matter. Boston got the win, their third in a row, and things are clicking for the Celtics. Look for my article later today on Kevin McHale's view of Brad Stevens' handling on the Boston lineups.